PHOTO COURTESY OF RED GR— ... UM, STEVE SMITH A publicity photo for the “This Could Be It” tour. The toe tag is premature. Steve Smith has made a career out of playing, well, Steve Smith. 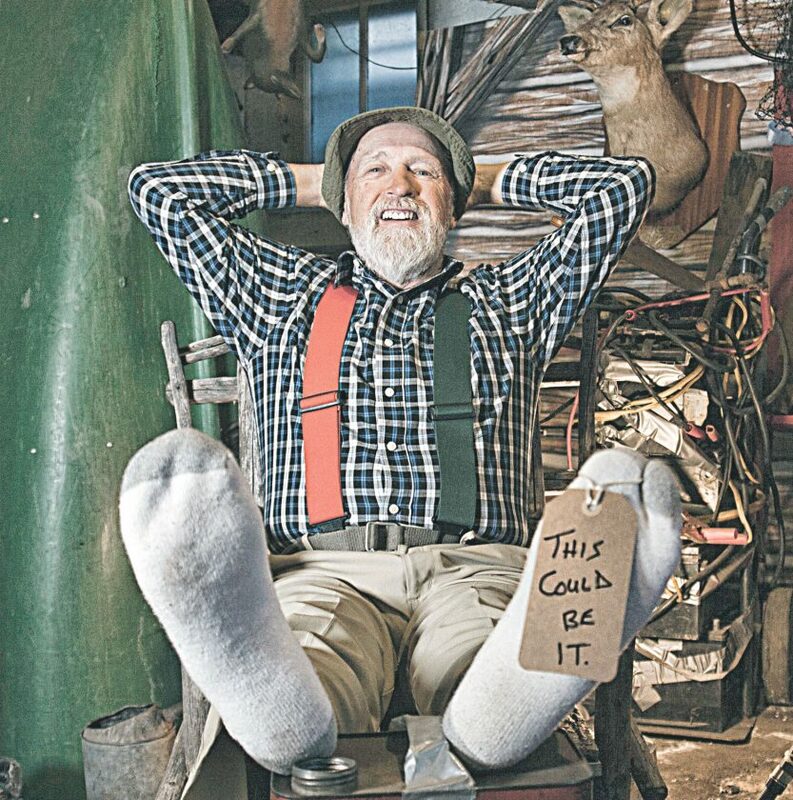 More accurately, he’s been, for most of 40 years, his signature character — Red Green. And Red is back on the road this year in what Smith hints could be the final public appearances for his alter ego. Red Green began as a spoof of Canadian television fishing show legend Red Fisher, while Smith and his wife were hosts of a variety show — Canada’s Sonny and Cher, if you will. That 1979 series eventually gave birth to The Red Green Show, originally a local-market sitcom in Hamilton, Ontario, and then eventually a huge hit — by public television standards — in the United States. Stations such as WBGU-TV, which are seen on local cable and satellite systems, aired the final 10 seasons of the show’s 15-year run. The TV version is finished (reruns are aired at 11 p.m. Saturday on WBGU), but Smith is taking Red Green on the road again. 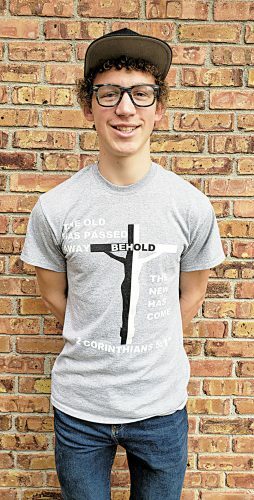 He is to be at The Ritz Theatre in Tiffin at 7 p.m. March 25. Smith is not afraid to tell fans when it’s the end; he pretty much said in the 14th season of his show that there was one more coming, and held to it. That’s why his “This Could Be It” tour really could be it. “I’ve always had a history of not being the last one to leave the party. Maybe it’s time to make an exit — that’s what I did with my TV show and maybe that’s what I should do with touring,” he said. The tour isn’t, he said, geared to promote his latest book. And he insists doing more TV is out of the question. But, he said, “I didn’t expect to enjoy the live performing as much as I have. It’s very personal, immediate and it’s irrefutable. “This is my fourth tour, and every time we do a tour, the average age of the audience decreases. There are kids that come that don’t even know the show was on television,” he said. The new show includes a few new features, such as an apology on behalf of all baby boomers to the current generation. Some of the characters from the TV show will phone in, he said, and he’ll unwrap a surprise ending involving a wish for the audience. A live performance of Red Green is comparable in some ways to a Renaissance festival and in others to the “Rocky Horror Picture Show” — a lot of fans dress the part, even if it’s only a flannel shirt and the signature two-color suspenders. Red Green and the other denizens of Possum Lodge are played by actors — Smith sort of disagrees — but the roles were cast to take real traits of the performers and make them comfortable on the set. “I’m really not an actor, and as soon as I stop being Red Green it will become obvious,’ Smith said. “It’s really just an extension of the creative process. Everything Red Green says and does comes from within me. Smith calls himself fortunate — but then, he also calls himself the Colonel Sanders of comedy, a reference to the famous restaurateur starting at an advanced age. He put the entire run on YouTube, and it’s also back on cable in the U.S. through the Heartland Channel. Part of his success on this country, he says, is because he knows he’s appealing to a niche audience.